The aging process, the postmenopausal state, low calcium intake, lack of physical activity, and other risk factors predispose the elderly to low bone mass. Most elderly nursing facility patients have age-related changes in bones, resulting in a lower than normal bone mass. 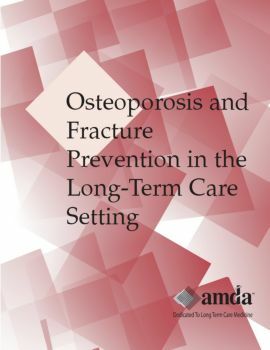 This tool will guide the physician in the recognition, diagnosis, and management of patients with osteoporosis or patients who are at risk for osteoporosis.